The Istanbul Chamber of Industry (ICI) addressed the investment and partnership opportunities in the Pacific Alliance members, namely Chile, Peru, Mexico, and Colombia. The meeting held at the Intercontinental Istanbul Hotel under the theme of “Pacific Alliance Countries: Opportunities for Turkey” attracted large turnout of industrialists and businesspeople, who pursue new investments in the region, and many investors from the Pacific Alliance countries looking for partnership with Turkey. 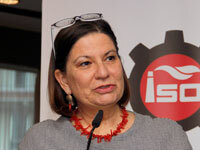 Sadık Ayhan Saruhan, ICI Board Treasurer, delivered the opening speech of the event. Saruhan noted that the Pacific Alliance covers around a population of 216 million, as well as USD 2.2 trillion GDP, and USD 1.1 trillion international trade volume. Stressing the importance of opening a Joint Trade Office in Istanbul by virtue of developing economic relations between Turkey and Alliance states, Saruhan added that South America, known for market width and diversity, is among Turkey’s priority regions with which it aims to develop economic relations in the short run. “The Pacific Alliance countries embody abundant water, soil and forest resources, multipurpose agriculture, rapidly developing industry and energy sector, and a solid financial system. Yet, unfortunately, the Pacific Alliance states and Turkey substantially underperformed when it comes to economic and commercial relations. Foreign trade volume between Turkey and the Pacific Alliance countries totaled to approximately USD 3 billion, according to 2015 data. This amount, only symbolic in comparison with the Pacific Alliance’s USD 1.1 trillion total international trade volume, clearly indicates that we must promptly enhance trade and investment relations with the Alliance states,” said Saruhan. Jose Manuel Silva, Pacific Alliance Term President and Ambassador of Chile to Ankara, briefed about how the Alliance was brought into being. Stating that the Pacific Alliance was established in 2011 and the member countries integrated very swiftly, Silva went on to share their trade liberalization ratio as 92 percent in 2014 and their goal of reaching 100 percent soon. Silva added that the Alliance aimed at beyond the tariff reductions, that is setting favorable conditions for regional integration. Santiago Marcovich Monasi, Ambassador of Peru to Ankara, remarked that Peruvian economy saw a substantial growth and an improved prosperity. Monasi added that they, however, had still a long way to go and need to penetrate further different foreign sectors. Reminding that they are conducting free trade agreement negotiations with Turkey, Monasi shared his hope of concluding the negotiations within 2017. Martha Elena Federica Barcena Coqui, Ambassador of Mexico to Ankara, said that three years into her term in Turkey, she witnessed significant changes even within such short span of time. Coqui, pointing out the similar economic background of Mexico and Turkey, stated that they both strove to build a national industry in the 1950s and 1960s, and engaged in liberalization in the post-1980s. Noting that the liberalization process was governed by the NAFTA agreement, featuring the U.S. and Canada as other parties, Coqui underscored that the U.S. is world’s largest market as well as the most important to them. Coqui went on to say that the Pacific Alliance accelerated the integration by abolishing the visa regime across the member states, as part of a seemingly minor but considerable initiative, a Pacific Alliance office in Istanbul would play an important role. Juan Alfredo Pinto Saavedra, Ambassador of Colombia to Ankara, said that although a regional integration typically takes time, the Pacific Alliance managed to complete its intra-organizational integration within a short while. Saavedra gave the similarities between the four countries in terms of language, type of government, and cultural aspects as major accelerators of the process. Stating that many new opportunities will emerge in Colombia once the peace building process is finalized, Saavedra remarked that they would be able to utilize the formerly unemployed land in a more efficient manner then. Opening remarks were followed by a panel titled “Pacific Alliance Countries and Partnership Opportunities”. During the panel, Fernando Albareda, representative of Mincetur Peru; Özge Tüysüzoğlu Garate from Prochile; Marcela Monroy, representative of Procolombia; and Jorge Cruz Abascal from Promexico, shared insights on potential investment areas. In the “Opportunities, Problems and Suggested Solutions for Turkish Companies in the Pacific Alliance Countries” panel; Çağrı Dündar, Turkey’s former Commercial Attache to Chile; Turhan Semizer, General Manager of Standard Profil; Banu Oncan, expert at the Mexico-Colombia Department of the Ministry of Economy; Vicente Balbin, Istanbul Representative of Banco Sabadell, informed about how to operate in the Alliance countries. Çağrı Dündar, Turkey’s former Commercial Attache in Santiago, took the floor at the panel moderated by Haktan Akın, ICI Deputy Secretary General, pointing out that his early years in office in Chile were characterized by fewer partnership requests due to the geographical distance between Latin America and Turkey as well as mutual lack of knowledge about each other’s culture. Dündar emphasized the critical role of trust building in business between the two regions, and informed that the Turkish TV series that recently gained popularity in Chile increased Turkey’s recognition across the region, which had a positive impact on the mutual commercial and economic relations. Banu Oncan, who serves the Ministry of Economy as a specialist of the Pacific Alliance member countries, delivered a presentation to describe the current status of trade relations between these countries and Turkey. Referring to the importance of 2011 Free Trade Agreement between Chile and Turkey in improving bilateral relations, Oncan stated that they continuously strive to finalize the Free Trade Agreement negotiations with Mexico, Peru and Colombia. 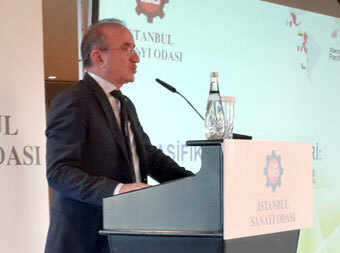 Turhan Semizer, General Manager of Standard Profil, speaking on behalf of the Turkish companies that operate in the region, highlighted that their investment in the automotive in Mexico gave them an edge in the U.S. market penetration. During the panel, Vicente Balbin, Istanbul Representative of Banco Sabadell that operates in all four members of the Pacific Alliance, presented the financial resources and opportunities offered by the bank in case of investments and commercial partnerships with the said countries.